Being part of the Public Relations Global Network means we are connected to a network of 50 hand-selected PR firms servicing key markets around the world. This allows us to offer the “boots-on-the-ground” savvy of a local PR agency but on a global scale. 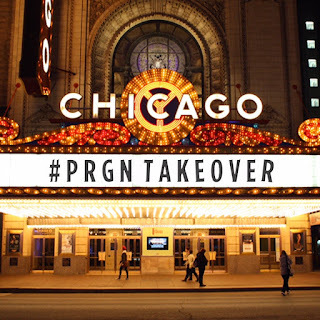 This week, those boots landed on the ground in Chicago, as LCWA hosted a “PRGN Takeover”—leveraging the PRGN Instagram account as a lens into the world of PR in Chicago. We showcased famous landmarks (many of which are just a stone’s throw from our office), highlighted ongoing client work, took a hyper lapse tour of our offices and even won a few awards along the way, garnering over 4000+ impressions for PRGN’s account in one week. Be Your Own Client: In public relations, we often take the back seat and let our clients shine…but when given the opportunity to put your own agency in the public arena, be your own client and showcase your capabilities. For example, if you create social content for your clients, one great way to show what you can do is by creating high-quality social content for your own accounts. With the PRGN Takeover as a stage, we were able to show our agency capabilities not only through the messages we shared, but by how we shared them as well! Develop Content with Goals in Mind: The goals of the takeover were simple—to increase awareness of the PRGN as a brand, as well as increase awareness of LCWA as an agency partner. With that in mind, we prepared content across multiple types of media in an effort to be as engaging as possible, sharing across our own channels and strategically using hashtags that would expand our reach. One great example of a tactic used to increase engagement was our use of the Instagram-story feature. Every morning as our first new post of the day was about to go live, we created an Instagram story that highlighted a Chicago landmark, while also working in the #PRGNTakeover to remind our audience, at the top of their feed, to check out any updates they may have missed. Get Creative: Who knows your city better than you do? When showcasing Chicago to our global audience, we wanted to make sure to include a wide array of city information to please the armchair travelers and the native Chicagoans alike! If you find yourself showing someone around your home—be a tourist in your own city (or even your own office) and give a tour looking through a visitor’s eyes. You might be amazed at what you’ve been missing.